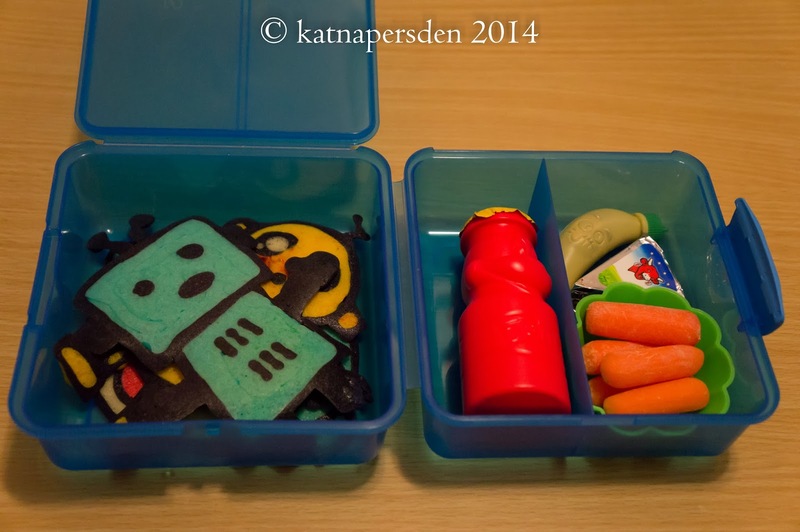 I wasn't able to do a proper bento last Monday, well, at least not to photograph. Kiddo just requested a PBJ and I was so tired that I didn't really dress it up except to use the sandwich cutter and made it bear shaped and gave it a face. Anyway, I didn't take pictures. 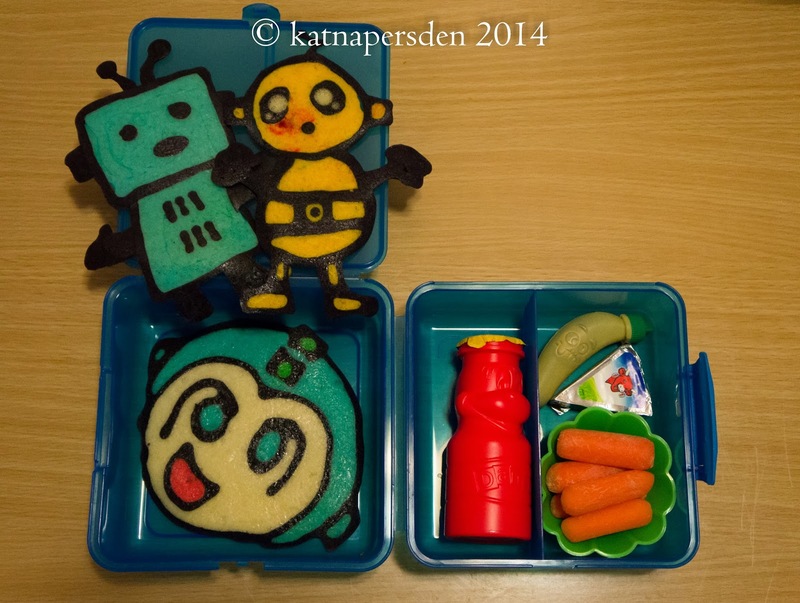 I did better with yesterday's bento by sending her off with more pancake art. Super cute!! love this pancake art!